need some linkage to get you through the weekend? elena's custom designs shows off the perfect beach bag for summer: the kimmi! sweetie pie pumpkin noodle is coveting some lovley lime green... and I can't stop swooning myself, especially over the pantone mugs! merci blah blah has discovered a dark horse in the online shopping realm... it's love at first site, er, sight no doubt! karina, ink delves deep into hard work and determination and finds the beauty beneath it all - what an inspiring image! only demi moore could make navy and black look this good, 100 inspirations gets you the look... on the cheap! a spot of whimsy reminds us, it's not how we fall... but how we get back up. And being a Michigan gal myself I not only love this post - but that pillow! Cute! really cute stuff has sophisticated note cards. My favorites? The purple and red cards, such a fun and unexpected color combination! do.think.wear.see.love.dream. shows off this adorable yellow dress... if you look close I think she successfully pulls off not one, not two but three different iterations of one dress, all in just a day! Hello, fashionista! good life for less is loving rompers this season... and while it may be a toss-up - you can't deny these styles are cute! 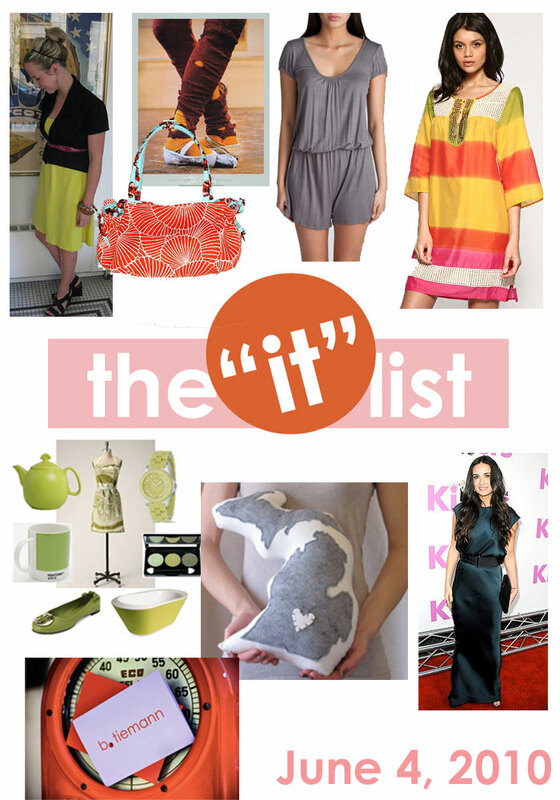 Interested in being featured on the "it" list? Small businesses, retailers and bloggers alike are welcome to join this weekly publication! email goodlifeforless (at) gmail.com for info!